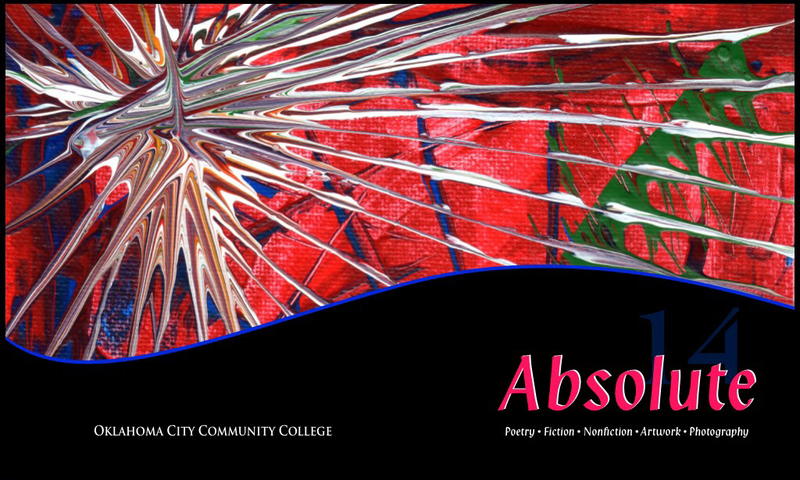 Student writers, poets and photographers will see their work in print during a reception for the 2014 literary magazine, the Absolute, from 12:30 to 1:30 p.m. Thursday, April 24, in CU1 and 2. There will be free food, music and entertainment, said Marybeth McCauley, faculty editor. The magazine includes fiction, nonfiction, poetry, art and photography by creative writers and artists. “This is a great way to show the talent that our students have and also give the authors and artists an outlet to be published and show their work professionally,” McCauley said. OCCC’s jazz ensemble will kickstart the event at noon. Once the food and music have set the tone, readings will then be performed by some of the authors in this year’s edition, McCauley said. This will allow guests to escape into different scenarios and settings as these authors vividly journey through their work. “It is a way to hear the pieces in their voice,” said Student Editor Tiffane Shorter. Shorter said items are selected for the publication based on blind readings of all submitted material. Student editors and McCauley read all the submissions and grade them in a one to 10 scoring process. After all the items are read, they hold an editors meeting and choose the various elements of creative expression that will be published in the magazine. “Those published receive a free copy of the magazine and officially have work out in the world,” McCauley said. McCauley said Absolute is OCCC’s oldest publication. She said editors are already looking for material for the 2015 edition of Absolute. They are always accepting material and anyone can pick up a form posted outside her office, she said. Artists and writers also can go to occc.edu and select the English and Humanities link under Academics to submit material. The deadline to be in next year’s publication is Dec. 1. “With free entertainment, refreshments, and support of fellow students, why wouldn’t you want to attend?” Shorter asked. For more information, call 405-682-1611, ext. 7405, or email mmccauley@occc.edu.